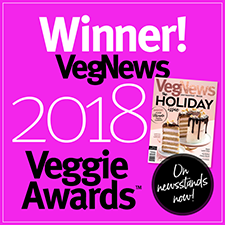 Vegetarian Plus has transformed one of the most popular Chinese dishes into a healthy, exciting vegan entrée! This tasty meatless Citrus Chicken is made with real kumquat juice, orange juice and savory orange peel for true citrus flavor that’s 100% natural, nothing artificial. With it’s beautiful appearance, wonderful texture, and exquisite tangy flavor, you’re sure to enjoy bite after delicious bite. 10.5 oz. (298g) package is $6.99. Serving size – 2.5 oz. 1. 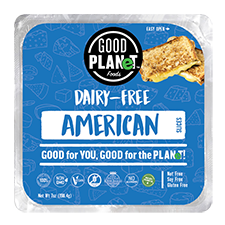 This item is perishable and should be shipped with a Cold Bag or Cold Box Shipper (see below for options) and shipped via 2nd Day Air to ensure maximum freshness (unless you are within a 2 day ship time from Wisconsin.) The following states can be shipped via UPS Ground to arrive within 2 days: WI, IL, MN, IN, MI, IA, MO, OH, KY, TN, WV, NE, KS (eastern half of state), GA (northern half of state), ND (eastern half of state), PA (western half of state), and NY (western half of state.) If you do not live in one of the abovementioned states, we strongly urge you to choose 2nd Day Air for your shipping option. We cannot guarantee freshness or replace perishable items if the shipping time is longer than 2 days and if a Cold Bag or Shipper is not included. 2. Orders with a Cold Bag or Shipper are shipped Monday through Wednesday – all orders placed after 12:00 pm on Wednesday will be held for shipment until the following Monday to ensure that they are not left in a UPS facility over the weekend. 4. This item should only be shipped inside the USA, as delivery outside the USA normally takes too long to ensure proper freshness. If you wish to ship this item outside the USA, please email us at questions@veganessentials.com to discuss expedited shipping options. Any orders for this item sent outside the USA are done so at your own risk, and by checking the box at top, you accept all responsibility for sending this item outside the USA at your own risk. 5. As long as this item is shipped to arrive within 2 days and has cold packs added, it will be adequate to consume even if it is not completely chilled when it arrives. Items may begin to warm up on the 2nd day in transit if they are transported in warm trucks or are being delivered to hot areas. So long as you ensure proper delivery in this time frame and have selected cold packs or a cold shipper box the items will only warm up for a short period at most and will stay cool for the bulk of the journey to you. Please do not be alarmed if items arrive in a state of thawing, as there are no animal-based ingredients that pose a health risk of going bad by being exposed to some heat during the final part of delivery. 6. By clicking the check box to confirm you have read our policies, you accept all risk in shipping this item to you in the event that you choose not to ensure delivery within 2 days and/or do not choose to purchase a cold shipper box or cold shipper pouch. If you do not ensure proper delivery, we cannot offer any replacements or reimbursements for items that have spent excessive time in heat en route to their destination. From Lauren of Council Bluffs, Iowa on 3/3/2019 . I am a huge fan of Kung Pao, but thought that maybe I would span out and try something new. Big mistake. The 'chick'en itself was an overly chewy and soggy mess. As for the sauce, it had a rather sour taste to it with a hint of orange. Sadly I bought a few, so I will have to make them edible somehow. Such a waste and huge disappointment. From mary ticchione of timberlake, Ohio on 12/22/2011 . I made this with some Basmati rice. It wasn't great, but it wasn't bad. It was just "ok."
From Jenn Dios of Cliffwood, New Jersey on 12/21/2011 . I was surprised how good the flavor was. 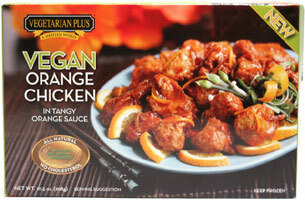 I use to live on orange chicken, as a kid it was my favorite, so I was very hopeful with this as it has been years. I actually really liked it. I have yet to try anything else from this brand, but look forward to trying them out based on these. From Kathy of Manning, South Carolina on 9/26/2010 . The best flavor ever. Very tasty. From A. Jean Clayton of Newport, Kentucky on 4/17/2010 .